The Commonwealth says cooperation with state and local governments to underpin new digital strategy. Collaboration with state and local government is essential to the new national Digital Transformation Strategy, minister says. 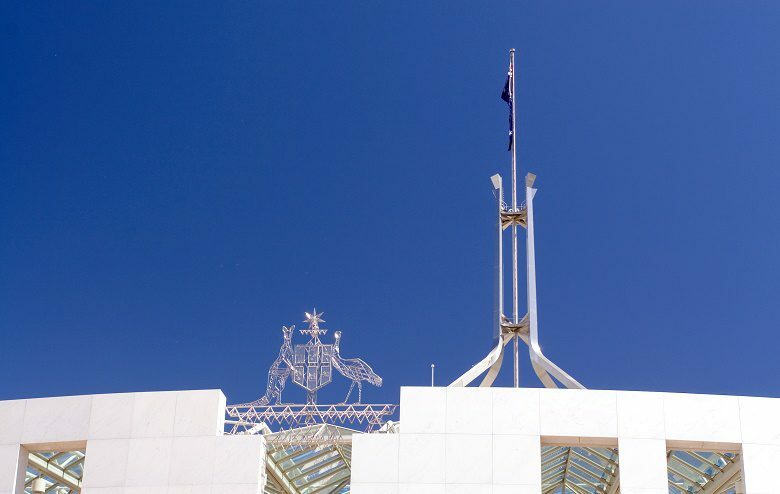 The Commonwealth is bringing together federal departments and state and local governments along with relevant industry and community players to progress its new Digital Transformation Strategy. Minister for Digital Transformation Michael Keenan yesterday launched the strategy, which aims to have all government services available digitally by 2025, along with a roadmap of key initiatives for the next two years. 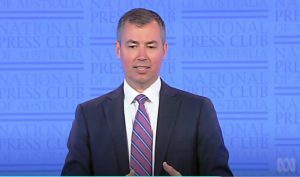 Minister Keenan launching the strategy at the National Press Club yesterday. At the council’s inaugural meeting in late September ministers agreed on the “urgent need” to improve collaboration between jurisdictions and established a senior officials group to drive it. “Australians don’t care where a jurisdiction boundary starts or ends in service delivery, they just want services that are convenient and effective,” Mr Keenan said on Wednesday. As an example, he pointed out that while state governments have data on the services supporting children in out-of-home care, there is no visibility on what happens to these children after they exit the state care system. 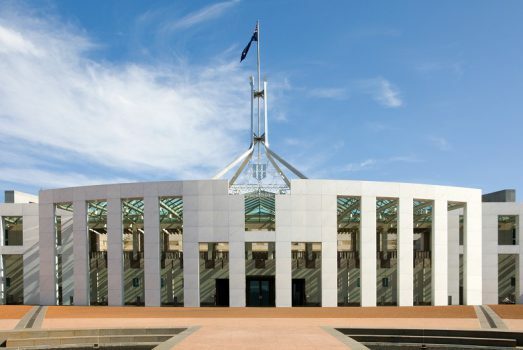 “Integrating Commonwealth welfare payments data with state and territory services data will give us better insights into the outcomes for these children and their families,” he said. The Digital Transformation Strategy provides a direction for governments’ work on data and digital transformation and underpins the Commonwealth’s stated aim of remaining in the top three digital governments in the world by 2025. As the minister previously foreshadowed the strategy focuses on front-end government service delivery, smarter decision making and the adoption of new technologies. Underpinning the strategy is a new approach to service design that responds to common life events, the minister said, such as having a baby or starting a new job. He cited an ongoing pilot of a new digital system for the automatic enrolment of newborns into Medicare, which is seeing the process completed in five days rather than the average wait of 40 days under the traditional process. Among the other initiatives outlined in the roadmap are pilots of a childcare marketplace to connect people with service providers and a “tell us once” service where an update of a citizen’s information is shared with all relevant government agencies. Initiatives in the first year of the strategy include digital capacity training for government staff, a data integration partnership between 11 Commonwealth agencies, and a new procurement framework for digital products and services. 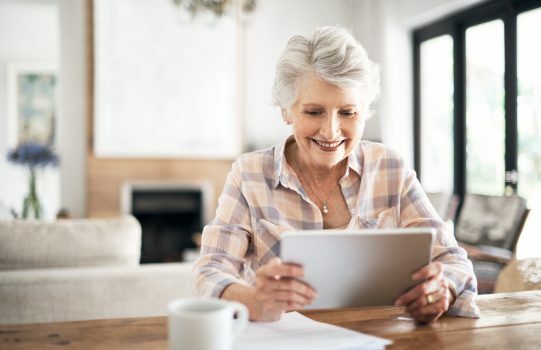 The roadmap’s second-year initiatives include a data visualisation project, efforts to streamline the complex aged care system and pilots around how people can make payments to government and set up preferred channels for government communications. Minister Keenan described digital identity as a “building block” underpinning the whole system. He announced there will be eight pilot programs for MyGovID – the government’s digital identity program – over the next nine months to test the new system’s delivery on a range of services. The first pilot for MyGovID will see users apply for a Tax File Number online rather than visiting a post office and waiting 30 days for processing. Eventually the digital identity program aims to replace the 30 separate logins a user currently requires to interact with all available online government services. Describing digital transformation as “the most exciting story in town,” minister Keenan pointed to “impressive digital capabilities” of world leaders like Denmark and Estonia. “In Estonia today, there are just three things that citizens of the country are physically required to do in person at a government office — registering a marriage, a divorce or a property settlement,” he said. 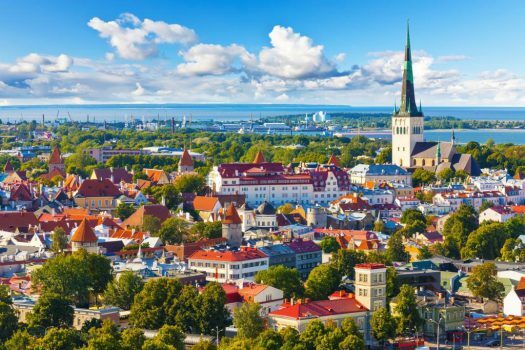 As Government News has reported, Estonia has been called “the most advanced digital society in the world” as its government continues to push the limits of digital delivery in public services.